NEW USAA members & US Military Program! Volvo Car USA is proud to support the men and women serving in the US Armed Forces. Our Marines, Sailors, Guardsmen, Airmen, Soldiers and their families make tremendous sacrifices protecting our freedom. We want to make getting a Volvo less complicated for them so they can ensure their families are protected and safe while driving. Not compatible with some other offers. Excludes T8 plug-in hybrids, XC40, retired courtesy vehicles and demonstrators. This offer is not compatible with some Volvo offers, including the “A-Plan by Volvo” program. Offer is non-transferable and valid for active duty members, Reservists, National Guard members, Veterans within 90 days of discharge date. Valid in the US only and is not compatible with special US Military Overseas pricing. Volvo Affinity Pricing is negotiation free and is 5% off total MSRP. The Volvo PIN must be generated in the name, legal home address of the primary eligible buyer or lessee and must match the sales or lease contract. Co-buyers or co-lessees are permitted. Must purchase or lease an eligible, new 2018/2019 Volvo S90, V90, V90 Cross Country, XC90 or XC60 or the all-new 2019 S60 between April 1, 2019 and April 30, 2019. Only one (1) Volvo PIN allowed per vehicle. Limit two (2) Volvo PINs per eligible military member. Contact one of our Volvo Sales Representatives today at (844) 702-9350 for more about this offer, available colors and options. We’re just a phone call away and will happily help you via phone or email. Thank you! Lease a 2019 Volvo S60 T5 Momentum for only $459 per month for 36 months with 10,000 miles per year with $1,995 due at signing includes TTL! ! No Security Deposit. MSRP $41,440. Advertised lease payment with approved credit through Volvo Car Financial Services. This is a closed-end lease with $16,556 paid over 36 months and a purchase option at lease end of $24,036 (excluding tax and other fees). Lessee responsible for regular maintenance, insurance, any excess wear and tear and all penalties for early termination, default or delinquency during the lease term as defined in the lease contract. Includes all Volvo incentives, conquest or loyalty. A Disposition fee ($350) may be imposed at the end of the lease term from VCFS. Lessee is responsible for excess mileage over 10,000 miles/year @ $0.25/mile. Offer good on Retired Demo/Loan Car. Advertised lease payment may vary and increase in payment per month for additional options/equipment. Most S60’s are titled (not registered) to Autobahn Motorcars and considered new cars available for all Volvo Cars Financial incentives. Expiration Date | Disclaimer: Expires 05/01/2019. Texas residents only. With approved credit. While supplies last. This offer cannot be combined with any other offer. Vehicle must be selected from our dealership’s Volvo demo inventory. $2,000 off MSRP (Volvo Purchase Incentive) on all in-stock New and Demo 2019 XC60 models! While supplies last. Expiration Date | Disclaimer: Expires 05/01/2019. Texas residents only. While supplies last. This offer cannot be combined with any other offer. Vehicle must be selected from our dealership’s Volvo inventory. Lease a 2019 Volvo XC60 T5 AWD Momentum for only $499 per month for 36 months with 10,000 miles per year with $2,995 due at signing, includes TTL! No Security Deposit. MSRP $48,970. Advertised lease payment with approved credit through Volvo Car Financial Services. This is a closed-end lease with $17,996 paid over 36 months and a purchase option at lease end of $28,402 (excluding tax and other fees). Lessee responsible for regular maintenance, insurance, any excess wear and tear and all penalties for early termination, default or delinquency during the lease term as defined in the lease contract. Includes all Volvo incentives, conquest or loyalty. A Disposition fee ($350) may be imposed at the end of the lease term from VCFS. Lessee is responsible for excess mileage over 10,000 miles/year @ $0.25/mile. Offer good on Retired Demo/Loan Car. Advertised lease payment may vary and increase in payment per month for additional options/equipment. Most XC60’s are titled (not registered) to Autobahn Motorcars and considered new cars available for all Volvo Cars Financial incentives. $13,500 off MSRP (Autobahn Savings) on stock #18359! AND….. VCFS is offering special APR on this CPO XC60 3.49% to 60 months. Expiration Date | Disclaimer: Expires 05/01/2019. Texas residents only. This unit only. Lease a 2019 Volvo XC60 T5 FWD Momentum for only $598 per month for 36 months with 10,000 miles per year with $2,995 due at signing, includes TTL! No Security Deposit. MSRP $55,395. Advertised lease payment with approved credit through Volvo Car Financial Services. This is a closed-end lease with $21,560 paid over 36 months and a purchase option at lease end of $34,890 (excluding tax and other fees). Lessee responsible for regular maintenance, insurance, any excess wear and tear and all penalties for early termination, default or delinquency during the lease term as defined in the lease contract. Includes all Volvo incentives, conquest or loyalty. A Disposition fee ($350) may be imposed at the end of the lease term from VCFS. Lessee is responsible for excess mileage over 10,000 miles/year @ $0.25/mile. Offer good on Retired Demo/Loan Car. Advertised lease payment may vary and increase in payment per month for additional options/equipment. Most XC90’s are titled (not registered) to Autobahn Motorcars and considered new cars available for all Volvo Cars Financial incentives. 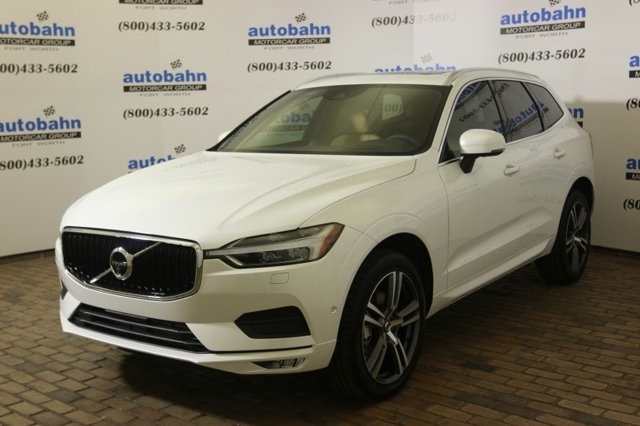 Lease a 2019 Volvo XC60 T6 AWD Inscription for only $768 per month for 36 months with 10,000 miles per year with $2,995 due at signing, includes TTL! No Security Deposit. MSRP $68,390. Advertised lease payment with approved credit through Volvo Car Financial Services. This is a closed-end lease with $27,680 paid over 36 months and a purchase option at lease end of $40,350 (excluding tax and other fees). Lessee responsible for regular maintenance, insurance, any excess wear and tear and all penalties for early termination, default or delinquency during the lease term as defined in the lease contract. Includes all Volvo incentives, conquest or loyalty. A Disposition fee ($350) may be imposed at the end of the lease term from VCFS. Lease a 2019 Volvo XC60 T6 AWD Momentum for only $696 per month for 36 months with 10,000 miles per year with $2,995 due at signing, includes TTL! No Security Deposit. MSRP $61,015. Advertised lease payment with approved credit through Volvo Car Financial Services. This is a closed-end lease with $25,088 paid over 36 months and a purchase option at lease end of $37,220 (excluding tax and other fees). Lessee responsible for regular maintenance, insurance, any excess wear and tear and all penalties for early termination, default or delinquency during the lease term as defined in the lease contract. Includes all Volvo incentives, conquest or loyalty. A Disposition fee ($350) may be imposed at the end of the lease term from VCFS. $5,750 off MSRP (Volvo Purchase Incentive) on all in-stock New and Demo 2019 XC90 T6 Inscription models! While supplies last. $5,750 off MSRP (Volvo Purchase Incentive) on all in-stock New and Demo 2019 XC90 T6 R-Design models! While supplies last. $3,750 off MSRP (Volvo Purchase Incentive) on all in-stock New and Demo 2019 XC90 T6 Momentum models! While supplies last. $2,000 off MSRP (Volvo Purchase Incentive) on all in-stock New and Demo 2019 XC90 T5 Momentum models! While supplies last. $2,000 off MSRP (Volvo Purchase Incentive) on all in-stock New and Demo 2019 XC90 T5 R-Design models! While supplies last. 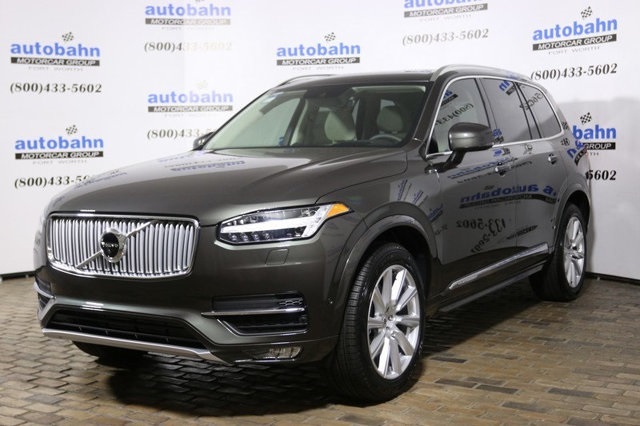 $4,000 off MSRP (Volvo Purchase Incentive) on all in-stock New and Demo 2019 XC90 Hybrid T8 Inscription models! While supplies last. It’s a great time to purchase a new 2019 Volvo XC90 with finance interest rates at some of their lowest points in years. Finance a new 2019 Volvo XC90 for only 2.99% for 60 months or 3.49% for 72 months! $14,000 off MSRP (Autobahn Savings) on stock #18900! AND….. VCFS is offering special APR on this CPO XC90 3.49% to 60 months. Lease a 2019 Volvo XC40 T5 Momentum for only $579 per month for 36 months with 10,000 miles per year with $2,995 due at signing includes TTL! ! No Security Deposit. MSRP $40,015. Advertised lease payment with approved credit through Volvo Car Financial Services. This is a closed-end lease with $20,876 paid over 36 months and a purchase option at lease end of $24,810 (excluding tax and other fees). Lessee responsible for regular maintenance, insurance, any excess wear and tear and all penalties for early termination, default or delinquency during the lease term as defined in the lease contract. Includes all Volvo incentives, conquest or loyalty. A Disposition fee ($350) may be imposed at the end of the lease term from VCFS. A-Plan pricing for active employees of Volvo A-Plan Partner companies! Eligible employees can now purchase or lease a NEW 2018 or 2019 Volvo model for A-Plan pricing along with an A-Plan bonus with a special PIN number obtained through over 3,000 partner companies. This offer is not available on loaner/demo models with mileage. Please go to www.APlanbyVolvo.com to see if your company qualifies. Excludes 2019 XC40 models. Expiration Date | Disclaimer: Expires 05/01/2019. Excludes 2019 XC40 models.